It’s February 6th already and time for another round of The Insecure Writer’s Support Group. A wonderfully supportive group of writers. If you get the chance, go check some of these great writers out. This posting began in a fog of last night’s Nyquil and continued under the support of Sudafed. Pardon me while I take a second to cough my brains out for the millionth time this week. Anyways, back to my posting. I thought I’d go on to Youtube, pull up an inspirational writing video, and crawl back under the covers. Simple, easy, and well within my virus-adled brain’s ability. But that changed as I watched a particular video of a speech Stephen King gave to some University of Mass students – I began to want to say something. 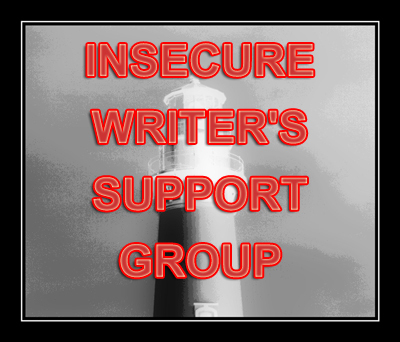 Each month the writer’s of the Insecure Writer’s Support Group post about their fears, their thoughts, or their experiences as writers in an increasingly competitive writing environment. And each month we take solace in the similarity of the experiences of each other, swim in the words of other people who are traveling the same path as us. Nice to visit and meet you– I’m helping out with Cohost duties with Alex this month. I love a good quote that keeps me motivated and inspired. Thanks for sharing a few and hope you feel better soon. I love Faulkner’s “take chances” comment. I hope I do. I hope I keep doing it. Thank you! I hope I continue to take chances too. Thanks for commenting. I love King’s quote. The devil is in the details, and it’s these that we pick up on to become immersed in a story. I agree. Certain details allow us to really see what’s happening. I aspire to that on each page. Thanks for commenting! Oh no, I hate being sick. I hope you feel better soon! And those are some great quotes. I’m a big fan of Harlan’s quote. Thanks for the well wishes. I agree about Mr. King. I’ve seen several videos of him talking about writing to students, book club or publishing interviewers, and others. I really love his focus on the craft of writing. Thanks for commenting.